Our study defined "political family" as having either a blood or marital tie to someone already involved in politics, whether as a judge, party official, bureaucrat, lawmaker, president or activist. When a sub-Saharan African president or prime minister did have family ties to politics, however, they were powerful and direct. Of the 29 African executives with family ties to politics, 18 – including Joseph Kabila of Democratic Republic of the Congo and Kenya's Uhuru Kenyatta – were related to former presidents or prime ministers. First off, very few do. Of the 1,029 political executives included in this study, just 66 were women. They included Chancellor Angela Merkel of Germany, the late Pakistani Prime Minister Benazir Bhutto, Liberia's Nobel Peace Prize-winning Ellen Johnson Sirleaf and President Dilma Rousseff of Brazil. Argentina's Cristina Fernández succeeded her husband, Nestor Kirchner, as president of Argentina in 2007. Corazon Aquino, who governed the Philippines from 1986 to 1992, won election after the ouster of the Filipino President Ferdinand Marcos, who was implicated in the assassination of her husband, Senator Benigno Aquino – also one of Marcos' loudest critics. Corazon's power then benefited her son, Benigno "Ninoy" Aquino Jr., who was president of the Philippines from 2010 to 2016. 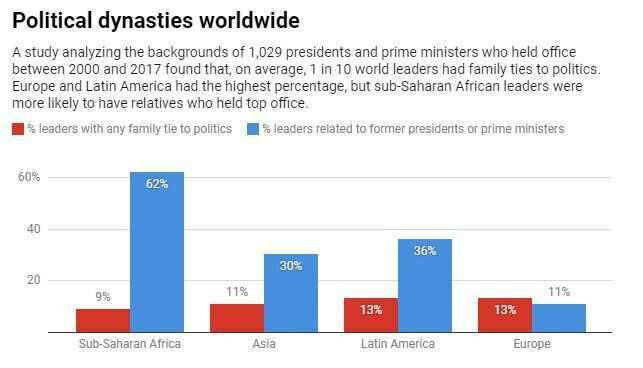 But consider this: 71 percent of all the female world leaders in our study attained highest office without any family connections to politics. That includes Croatia's Kolinda Grabar-Kitarovic, who is the daughter of butchers. 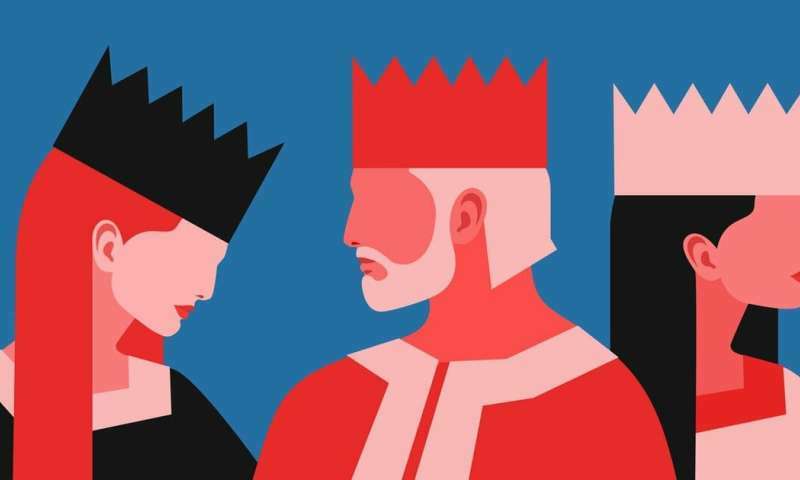 She is the first woman ever to govern Croatia, which has been around since A.D. 879. Did the Brexit referendum politically disengage women? "... 71 percent of all the female world leaders in our study attained highest office without any family connections to politics. ..."
Which is hilarious when I consider how many other guys I have heard, complain about "uppity" women. Affirmative Action & cowards claiming that women are "given" special entitlements. That are so "unfair" per the misogynists. Who rave that women need to be kept in "their" place. Subordinate. Though none of those card-carrying members of the "Perpetual Little Boys Club for Women Haters" have the testicles to admit they can't compete on a fair & level playing field against women motivated to achieving excellence. Misogyny & racism are the two sides of the same bogus coin produced by weaklings. ahh, I just remembered a story about Samuel Clemens at a dinner party. Afterwards in private, another guest, who it seemed had observed previous similar events? ?Where Mr. Clemens replied to the self-congratulatory adulation with with cutting sarcasm. The other guest bluntly asked why Clemens why he had stayed silent, this time? "I felt sorry for the lady. As with so many extolling noble lineages?